As Christmas waves its magic wand over each of our Unique Home Stays, we want to spread the belief that giving the gift of memories should be at the heart of the seasonal cheer. Each of our luxury homestays is a wonderland of stylish charm long beyond the festive season, so if you’re stuck on the perfect gift this Christmas just imagine the look on your loved ones face when you give the promise of luxury, romance and adventure – all wrapped up in a luxury travel experience like none they’ve ever experienced. We’ve collated the perfect escapes for everyone, from Mums and Dads right down to the dog: we’ve got Christmas sorted! So bring the holiday sparkle to your loved ones with our Unique Gift Guide and help them plan their biggest adventure of 2017. What better way to brighten these dark winter days than the anticipation of a luxury escape?! It goes without saying – Mums are the centre of our universe – where would we be without them? Bring a beaming smile to your well-deserving Mum’s face this Christmas with a break in the diary for the whole family. There’ll be no better way to say thank you than by gathering the whole nest together in sublime luxury with optimum relaxation in mind. 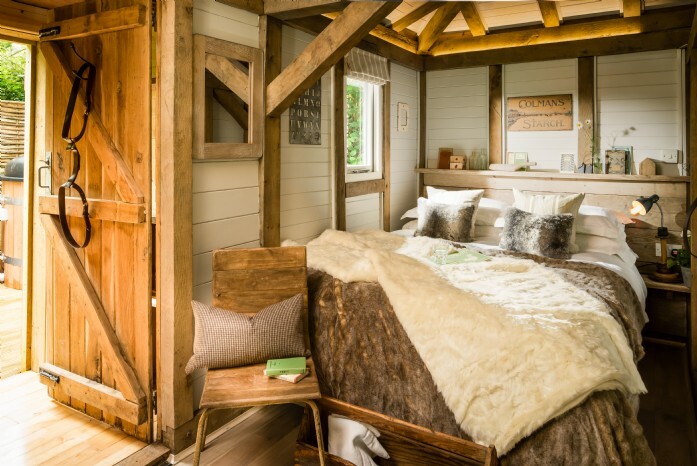 These pamper-perfect retreats will be the perfect place for Mum to unwind. Guinevere offers style and space for quality time in abundance at a unique 16th century country manor house set within 38 acres of private stately grounds, a Mother’s paradise with entertainment to suit the masses; tennis, golf, cross-fit gym sessions or post-swim soaks in the sauna. R&R is highly encouraged at Guinevere. Just an hour and a half from London and parking for eight, everything is covered – Mum can put her feet up and let Guinevere do the rest! Ellenglaze is a 400-year-old Grade II-listed farmhouse quietly tucked away on the North Cornwall coast. Mums can bask within the luxury of this 2.5 acre family nest, with an abundance of space for everyone to enjoy. 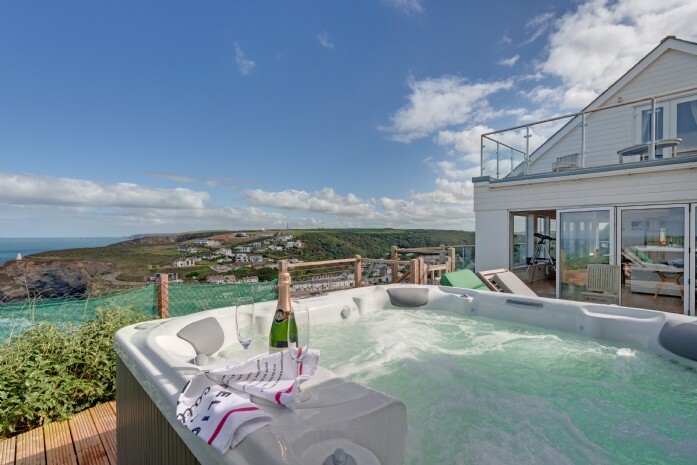 This exclusive self-catering property boasting heated indoor swimming pool, cinema projector, hot tub and discreet mod cons throughout will ensure Mum won’t need to lift a finger! A friend, a hero, the only man a girl can trust – a source of guidance, humour and unconditional love… he’s also the most difficult member of the family to buy for! It’s impossible to go wrong with a gift card they can spend towards a unique escape of their choice, Dad will love the ultimate rugged, adventurous escape with enough “active” family bonding to last a lifetime! South Devon’s Newton Ferrers is afloat with yachtsman’s charm. Surrounded by ancient woodland and overlooking the river Yealm, bring Pops to this waterman’s sanctuary for a holiday made of sailing, boat watching and pub hopping jaunts around the beautiful South Devon countryside. The gift of a coastal escape among the rolling dunes and crashing waves will be sure to tick all the Dad-friendly boxes ! 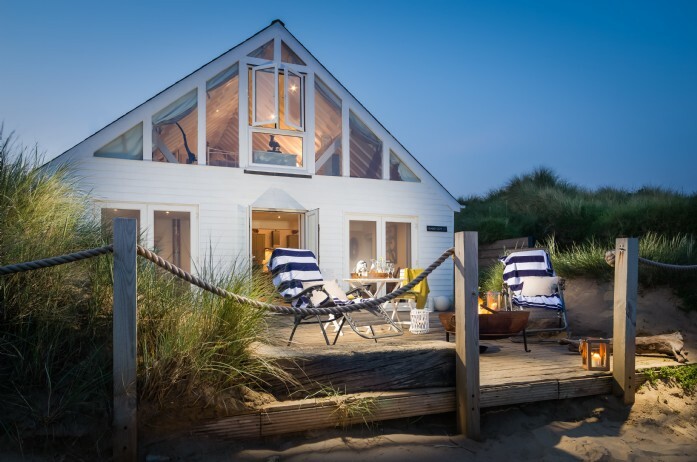 The whole family will feel revitalised at Barefoot Beach House after exploring the long expanse of Camber Sands, alongside the fishing folk and yachting types. Dad can practice his fire making skills on the open wood burner whilst the rest of the family wrap up and enjoy the moonlight dance over the oscillating tides through the floor to ceiling windows. At a time when the world seems to fly by, Christmas is the perfect time to give your loved one the gift of a weekend break away - just the two of you. Clear your calendar, switch off your smartphones and disconnect from the rest of the world, for the ultimate couples detox at one of our luxury love nests. A secluded woodland cabin is the perfect hideaway for two. 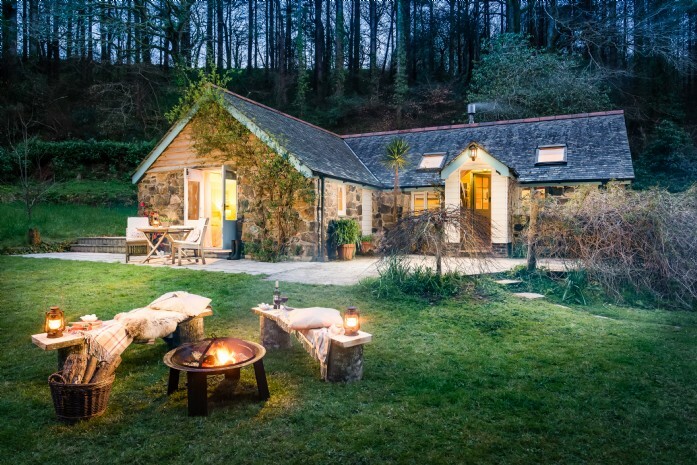 Little Bear demands a reconnection with your beloved, calling for couples to find the wood-fired hot tub amongst the stunning canopy of trees before racing indoors to sit fireside with a glass of wine to reminisce, plan ahead or simple just be. Grandparents are the back bone of the family; they hold a wealth of knowledge, life experience and are the roots to our family tree. By giving the gift of one of these family-friendly escapes, Nana and Grandpa will be able to cherish memories by booking a special location for the whole family to enjoy. It is impossible to tire of the ever changing view at The Viewing Gallery, and while the bustle of the family vacation darts back and forth, Grandparents will love nothing more than watching the younger generations play against the ocean backdrop, or taking part in raucous games of charades before bedtime. Find yourself weaving through a myriad of leafy woodland lanes as the Cornish country roads lead you deep into a magical woodland setting – the perfect holiday escape just minutes away from the Helford River. When you arrive at Clapper Bridge Cottage, the one-level living space makes for easy maneuvering for the whole family to feel at ease, whilst the gentle sound of nature and the warming glow of the open fire encourages Grandparents to indulge in a daytime nap or two the rest of the family can explore the private surrounding countryside. Take your mini travellers on a family staycation that avoids the torture of airports and burying their faces into a screen for a long and uncomfortable flight. Unplug, turn off the Wi-Fi and spark their imagination, the whole family will enjoy entertainment in its most basic form; from foraging in the nearby woods to deciphering a tricky jigsaw, playing a competitive round of cards and of course, Scrabble by the fire. Yes, the kids may drive you mad begging to watch Peppa Pig, but the memories and the adventures will ensure quality time unlike any other getaway and the luxurious surroundings will promise ultimate relaxation for the whole family. 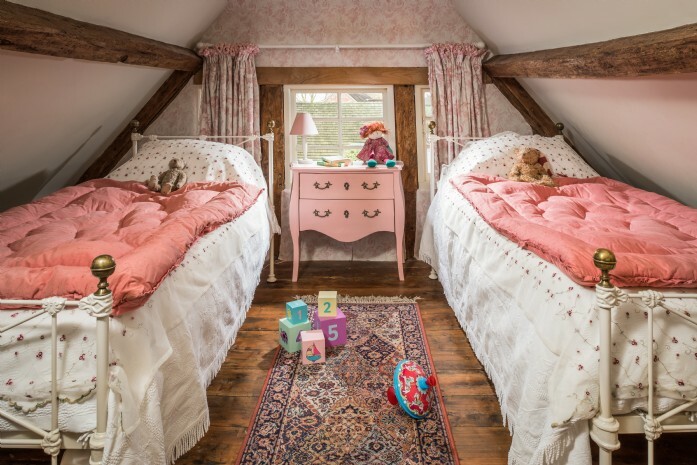 It won’t just be the littlest members of the party that skip around Pollyanna with fairy-tale cheer, the whole family will bask in the enchantment of this thatched cottage bursting with halcyon nostalgia as if straight from the pages of a storybook. Children will delight in exploring the hidden nooks tucked away amongst the antique furniture, traditional beamed ceilings and charmingly uneven floors, the adventure will continue outside in the large garden where children will love to pick the juicy, ripened apples and pears from the neighbouring orchard and gather in the kitchen to make homemade crumble and custard. 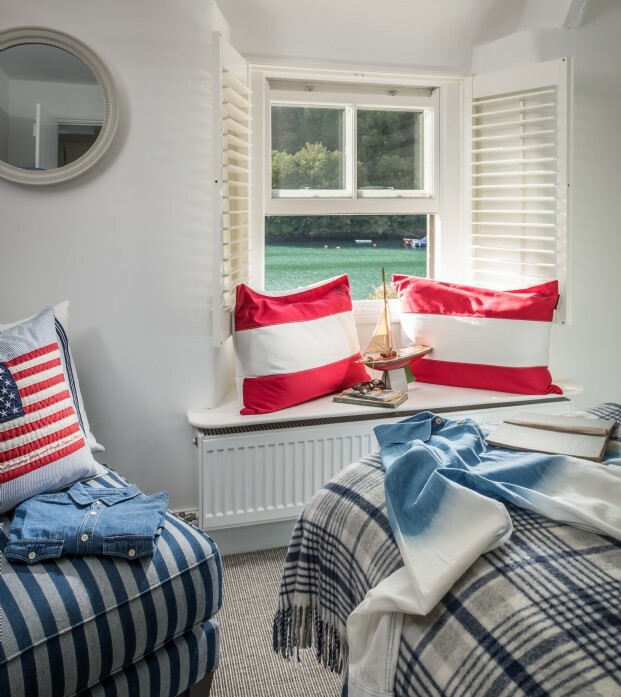 For a family escape that epitomises the true spirit of Cornwall, The Stack sits over half an acre of gardens overlooking the secluded Fal Valley and oozes ancient Celtic charm. Set over five floors, children will focus their energy exploring the castle-like interiors and once they find the hidden door to the basement cinema room, the only way to bribe them out will be the delicious aromas from the outdoor wood-fired pizza oven and the promise of a twilight dip in the sunken hot-tub. For the modern day animal lover, holidays just aren’t the same without the company of a beloved pooch to share in the adventures. We have over one hundred dog-friendly holiday cottages across the UK, the pandering doesn’t stop at an invitiation, our friendly owners know the value of our beloved fury friends and offer goodies on arrival ranging from home-made treats to luxury dog bedding, ensuring Fido has a sound night’s sleep after the day’s adventures! Bundle up the whole family and escape to beautiful North Bovey. The Riddle is a pooch’s paradise, offering stylish Barbour blankets and home-baked doggie treats. After a day spent rambling across the rolling green pastures of Dartmoor chasing the endless supplies of toys and bouncy balls, scrub all four muddy paws with luxury doggy soap in the outside wellness centre (comprising watering can and showerhead hose!). 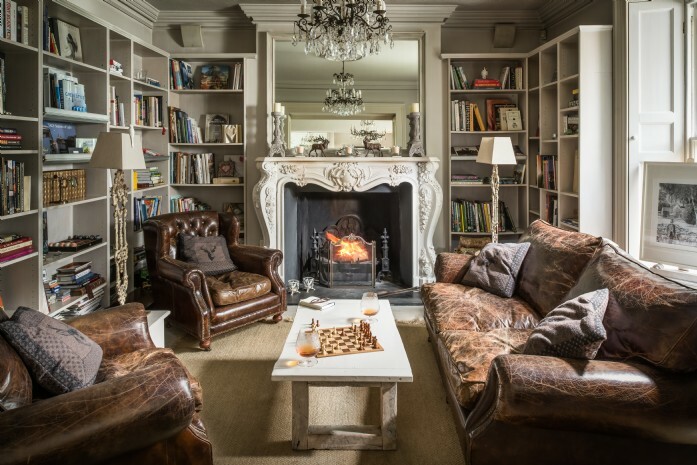 Once hosed-down, gather the family around the roaring log fire in the main sitting room; a blissful no-television zone for a true sense of escapism. 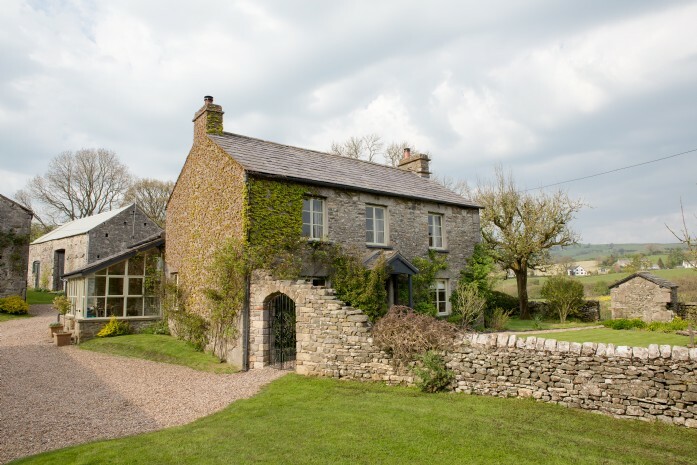 This chic 17th century luxury home set within 17 acres of breath-taking Cumbrian countryside will encourage you to reconnect with nature and immerse yourselves in outdoor adventure with your furry friend taking the lead! 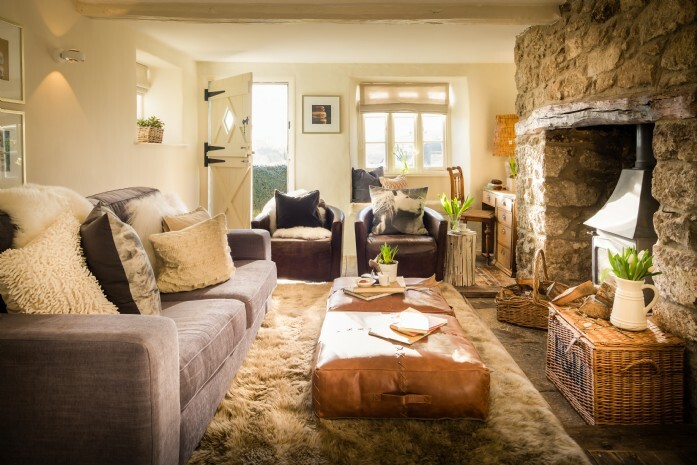 Once you’ve had your fill of country pursuits relax in comforts such as Egyptian cotton bath towels, locally made bath products and scented candles in each bathroom pooch can curl up by the wood burner and the whole family will feel rejuvenated and relaxed. “Hygge” is the Danish art of happiness and has been a sudden inescapable trend across Britain over the last few months. Perhaps it’s this time of year, or maybe a reflection of the financial and political turmoil that 2016 has seen. Whatever the reason, hygge has been listed as “word of the year” by both the Collins and Oxford dictionaries. 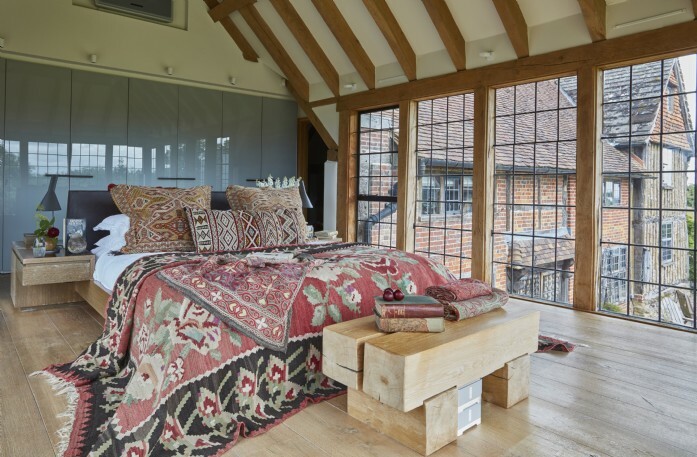 At the core of this movement is how to create a warm cosy atmosphere in the home; living simply and with ease and charm. What better gift for 2017 than a luxury homestay that encourages this culture of cosiness. There is no better way to embrace the latest wellbeing trend than escape to a land far far away, neighbouring plunging mountain peaks and glistening lakes. A holiday surprise to Winterfell promises moments of pure joy and enchanting luxury. With romantic white interiors, open fires and crystal chandeliers, there’ll be nowhere more sumptuous. I’ll let the hygglicious pictures do the rest of the talking! 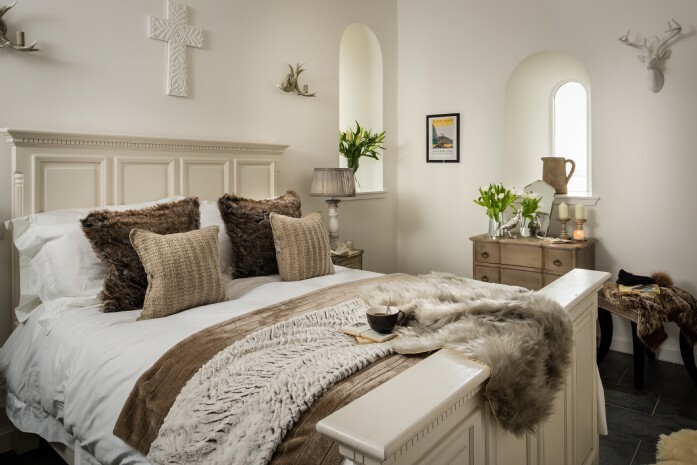 Cosiness and contentment are top of the agenda when it comes to our cottages in the Scottish Highlands. The Isle of Skye is distinguished by its raw beauty and takes its otherworldly name from Skýey, meaning ‘Cloud Island’. When the mists close in around the velvet moors, you’ll literally be floating on Cloud 9! SuperNova offers the perfect sanctuary after the long journey, allowing guests to soothe weary muscles in the steamy sauna and bubbling bath overlooking the awe-inspiring views, remembering the simplest things in life are hygge. Whoever you are treating this Christmas, give the gift of time together and the promise of new memories with loved ones. 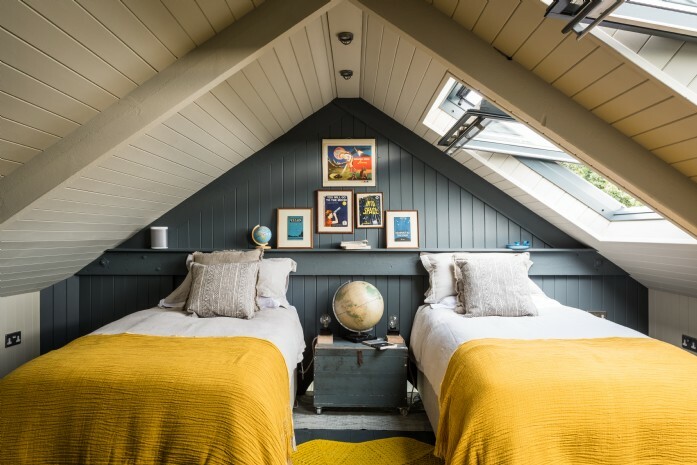 If you simply can’t pick one of our homes, or dates are a little tricky to pin down, why not gift a Unique Home Stays voucher? Available in any denomination and value of your choice, these can be printed, posted or emailed to the lucky recipient who can redeem them against the escape of their dreams! Click here to purchase your gift voucher today.